This is one of the most amazing craftsmen I have ever seen. 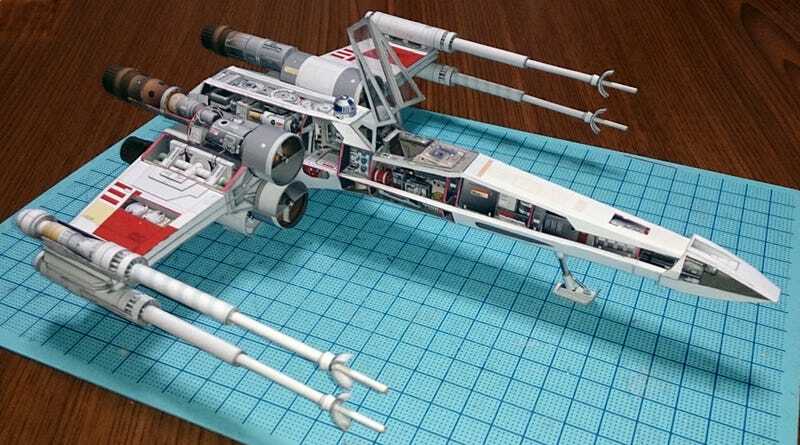 He doesn't only make the exterior of his sci-fi ships using just paper but also the guts! The level of detail is amazing—some look like perfect resin models but it's only paper. Behold the X-Wing, TIE Interceptor, Viper Mk2, 2001's Orion and many more!